Let’s start with a simple definition: eLearning Authoring tools are used to create eLearning lessons. These tools have been around much longer than most people know. When asked, many guess that they started coming on the market recently or perhaps back in the 1990s. The truth is the National Science Foundation funded the first authoring tool, called PLATO, way back in 1960, and then another in 1967, called TICCIT. Both spawned many other authoring tools over the years. OK, but what’s so special about authoring tools that makes them the tools of choice to create eLearning courses? Why not just use standard programming languages? The answer is that eLearning specialists are usually grounded in instructional design principles which are important to be able to deliver eLearning that works. They are rarely computer programmers. Think of the eLearning professional as a teacher formulating lessons, except that these lessons will be experienced by many individuals at various times and at their own pace, not all together sitting in a classroom. The best kinds of eLearning lessons are those that are interactive and that challenge the learner to solve problems. The instructional designer usually works with subject-matter experts, those who know the content, to create the lesson approach. Therefore, most authoring tools are meant to be used by non-programmers and they have special features that are very useful in creating lessons that are interactive, media-rich and engaging. What Are The Types of Authoring Tools? Just as is true of most of the programs you use on your desktop or laptop, many authoring tools have you download an installation application, which then installs the authoring tool on your computer. You can then use it as you would any other application even if your internet connection drops. These tools range from limited to very powerful. These tools extend PowerPoint’s capabilities by adding a tab that you can open to add eLearning features to a normal PowerPoint slide deck. They tend to be simpler tools to use and not as powerful as those that are installed outside of PowerPoint, but they can be very useful, especially to those who already have a lot of PowerPoint slides that they would like to repurpose. Like Installed tools, you download an installer, but thereafter the tool is accessed wholly within PowerPoint. Many of the newer authoring tools are cloud-based. You may not need to install anything on your computer at all. At most, you may be asked to install a small helper application. All your actual authoring is done online. You will want to have a fast internet connection in most cases but the beauty of this, like other with cloud-based tools, is that you can work on building your eLearning lessons from any computer anywhere. You can start work on a lesson in your office, travel to a satellite office across the country, and continue working there, without having to take your files with you. Like Installed tools, Cloud-based tools can range from limited to very powerful. What's the difference between between desktop and cloud-based authoring? Visit: eLearning Authoring Tools Comparison. What are the Main Authoring Tools Features? Many authoring tools use a slide approach, like PowerPoint. Others use a Page or a free flow approach. There are many other features that differ between authoring tools. Carefully consider what will work best for you and the learning you want to create. 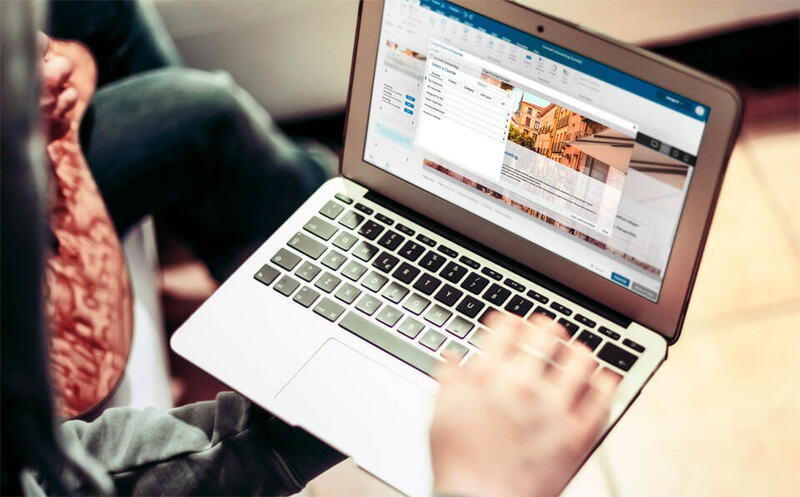 Most authoring tools let you create standard interactions, such as having the learner click a screen icon or press a specific keyboard key to make a choice. Many also let you create drag-and-drop exercises or have the learner respond by voice. Most allow for quiz questions, such as multiple-choice, fill-in-the-blank, matching and survey. However, be aware that while many authoring tools may let you create drag-and-drop interactions, some may be much more limited than others. The same is true for other types of interactions. When the mobile revolution began, a lot of authoring tool companies were unable to adapt to the new requirements. Their tools had been publishing to the Adobe Flash format and Flash’s days were numbered. Others were able to give their tools the ability to publish to the new HTML5 format, which both desktop and mobile devices can access. Of course, almost all new tools introduced in the last few years also offer HTML5 publishing. 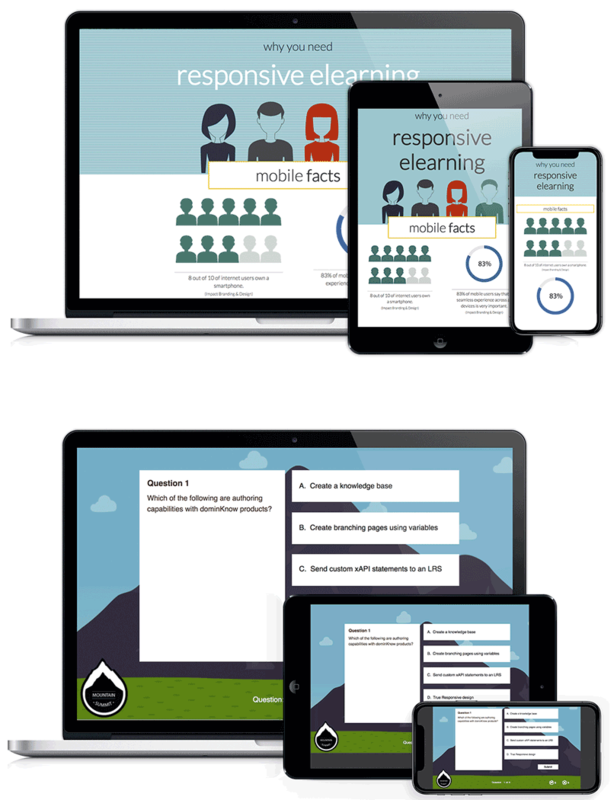 Among the tools available today, many claim to be mobile-ready but are quite limited in that regard, while others offer designers and developers the ability to create eLearning that is responsively designed, much like most modern websites are. Responsive design allows for screen content to automatically adapt itself to the available resolution, so if you look at a lesson on a mobile phone in portrait mode, the lesson’s contents will fill up the screen in a pleasing way. Those tools that claim to be mobile-ready but do not allow for responsive design do publish to HTML5, but in a fixed format and resolution so that viewing the lesson on a mobile phone in portrait mode, for instance, would result in a small rectangle in the middle of the screen with black areas at the top and bottom. This is not ideal if mobile publishing is important to an organization’s goals. Publishing to HTML5, in other words, does not necessarily mean having a responsively designed lesson. Some tools are best used when you have a lot of videos that you would like learners to watch. In between, you may want to quiz them on what they saw. Others may specialize in creating software simulations or in setting up soft skill case studies. These tools are not as generalized as others, so are limited, but they may be much more useful in the area in which they specialize. You may find in some cases that the general tools also contain enough software simulation and soft skill case study capability to do the job. There are tools that make translating courses much easier. Others may contain a lot of wizard-based widgets or interactions, such as a glossary. ‍‍You may be required or want to ensure that your lessons are accessible by everyone, including those with disabilities that limit them in some way, such as blindness or deafness. They may have limited mobility and cannot use a mouse. They may have intellectual limitations. Many countries, including the United States, Canada, and the nations of Europe have laws in place to ensure accessibility, especially when doing work for government agencies. What Are The Types of eLearning Content? eLearning used to mean long courses that could include many lessons lasting 30 minutes or more that together could add up to 40 hours or more. Of course, learners would take the lessons one at a time over a period of time. Many contained a lot of learning that was not necessarily pertinent to the course objectives. In addition, the investments in these huge courses were not always rewarded at levels equal to those investments. Micro-Learning lessons are short, usually four minutes or less. They are direct and contain little in the way of extras. 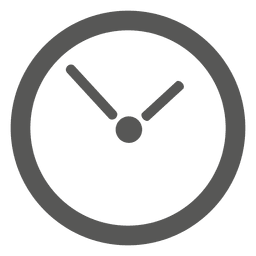 There are usually multiple short lessons that could add up to a course that is a total of 30, 60 or 90 minutes, though there are still courses being created that are eight to twelve hours, usually those that deal with compliance to laws and regulations. These will combine the different eLearning examples that are discussed below. These are usually enhanced job aids or help sections and are accessed at the moment of need. Rather than learning in advance on how to perform a task, the task is learned just before it needs to be done. This approach best serves those objectives that are short and discrete, those that can be understood quickly. These can be synchronous, in which everyone participates in a live session and can ask questions of the speakers or even participate in speaker-driven activities. They can also be asynchronous, so that learners access a recording of the webinar. Usually those that are synchronous also record their sessions for those who cannot attend live, though of course viewers then have little or no direct participation with the speaker. Creating lessons that include elements usually found in games, such as challenges, point values, and even leader boards, can help learners grasp the concept faster. The learner’s focus should be on the content and not on the game mechanics, so game ideas like who-dun-its serve learners better than Jeopardy and Who Wants to be a Millionaire. This directly targets each learner’s needs by analyzing how well a learner is performing and deciding what happens next depending on that performance. For those who seem to know the content very well, they may end up flying through the content quickly and proving their knowledge and skill, whereas those who are new to the material may get a lot of extra chances to practice and get help. Learners can watch videos that contain decision points. Depending on what a learner chooses, the video may jump to a different location. These are ideal for soft skills scenarios, surgical procedures (when feasible), home inspections after a disaster, and more. Many now consider YouTube, Google, Twitter and other social media sites as excellent go-to places to learn something new. Like every other type of learning content, there are advantages and disadvantages to this. These are automated assistants based on Artificial Intelligence (AI). They are becoming popular in helping people explore options that are available to them. For example, they can pretend to be a reluctant customer or a problem patient. Depending on what learners say, the chatbot will respond intelligently. Full conversations can take place, helping learners to know how customers may respond and react during phone and in-person conversations. What Are Some eLearning Examples? How to properly fill out the customer service request form in the company’s new software application, you should think about software simulations in demo, practice and test forms. How to perform a new surgical procedure on heart patients, consider video, drag-and-drop and other highly interactive elements, animation and more. Most organizations want to know if their eLearning attempts are successfully helping their learners grasp the content and are improving. To that end, besides having one or more authoring tools, organizations will purchase a Learning Management System (LMS). You use the LMS, which will either be installed on your own server or on the LMS vendor’s web portal, to register new users and to store all the tracking data that’s generated by the authoring tool every time the learner takes a lesson. Learners log into the LMS using the credentials you have given them or that were provided to them if they self-registered. They will see all lessons for which they are registered.Next to each, they will see some indication as to whether they started the lesson, completed it, passed it or failed it. Other information may be made available to them. They choose a lesson which they have not yet started or that they started but hadn’t yet finished. Normally when learners leave a lesson before finishing, bookmarking will keep their last location preserved so they can continue from where they left. Once learners choose the lesson, the LMS will launch the lesson. As the learner goes through the lesson, behind the scenes the lesson is sending progress data back to the LMS. When the learner exits the lesson, the LMS will show the updated status. What kind of learner progress data is stored? Usually, it includes completion and pass/fail status, but it can also include much more detailed information, such as how long the learner took in each section of the lesson, how many times an interaction or quiz question was attempted, the actual answer the learner gave and the correct answer for a quiz question, and more. Every LMS also contains ways to generate reports on the learner data for the individual learner or groups of learners. Clearly, the LMS and a lesson, especially one that has been built in a separate authoring tool, need to communicate using a common language, or specification. There are various specifications. The first serious attempt that became very popular was founded in 1988 by the Aviation Industry Computer-Based Training Committee (AICC), formed by Boeing, Airbus, and McDonnell Douglas. However, the most common for most Learning Management Systems today is called SCORM, which stands for Shareable Content Object Reference Model. It is maintained by the Advanced Distributed Learning (ADL) Initiative from the Office of the United States Secretary of Defense. There are two primary versions, the first was introduced in 2001, called SCORM 1.2 and the second was introduced in 2004, called SCORM 2004. In 2013, a new initiative from ADL called Experience API (xAPI) was finalized. It allows for much more flexibility and customization of the progress data collected and stored. It works with a Learning Record Store (LRS). The LRS can stand alone on a server or it can be within an LMS. More Learning Management Systems are including this capability. As you can see, there are many factors to be considered before investing in one or more authoring tools. You must consider what your learner audience needs, what content you’ll be serving them, and how you would like to deliver that content. Put yourself in their shoes: do you want to be able to view the learning on your mobile device? Do you want to be passively looking at a presentation or are you better able to learn by solving work-related problems that you are presented? Do you have lots of free time on the job or would you prefer short lessons? Once you’ve analyzed the needs of your learner and audience, it’s time to evaluate authoring tools and see which one or combination of them will best serve your learning needs. 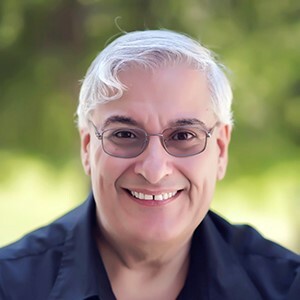 Joe Ganci, aka "eLearning Joe" is President of eLearningJoe, LLC, a consulting and training eLearning company located outside of Washington, D.C. Joe has been involved in every aspect of eLearning development since 1983.